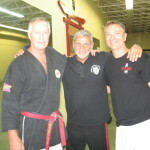 Recently, Grandmaster Marchetti was invited to observe a seminar given by Grandmaster Stephen Roensch. 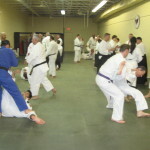 The seminar occurred towards the end of August 2015, and the venue was the Iron Warriors dojo in Hollywood Florida, which is owned by 8th Degree Black Belt Rey Perez. 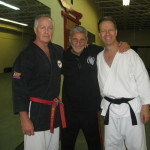 Accompanying Grandmaster Marchetti, was his Michi Budo Ryu black belt and long time friend, Dr. Cliff Shapiro. Also in attendance was Lt. Colonel Jamie Jones, Retired of the Fishhawk Martial Arts Academy. 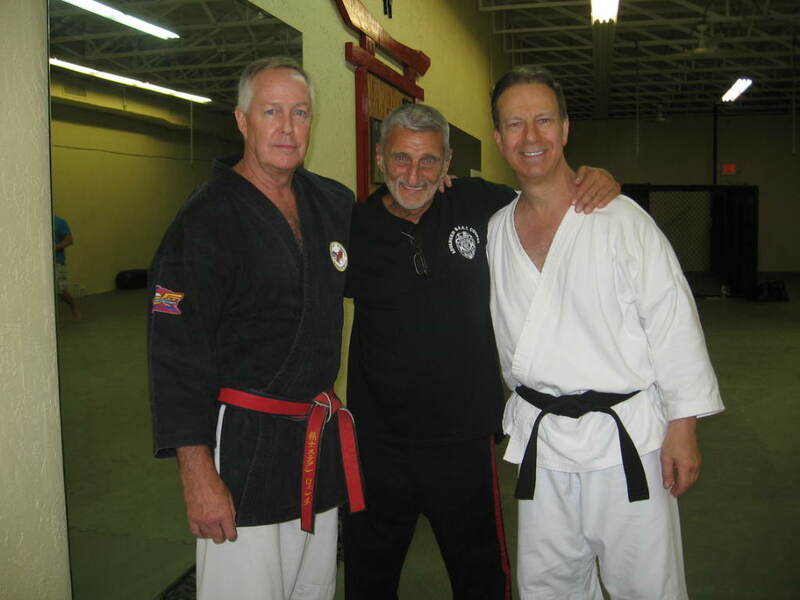 Before the seminar began, the organizers of the event took a moment to announce Grandmaster Marchetti and highlight his extensive martial arts history and credentials. 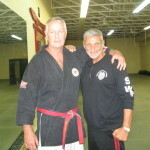 They drew attention to his extensive work with the FBI, Military and Law Enforcement, and recognized him as one of the pioneer instructors in authentic Jujitsu in America. 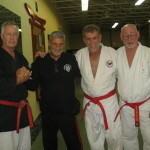 They also recognized Grandmaster Marchetti’s school, Kearny Martial Arts, and its unique culture; the black belt test in Michi Budo Ryu remains true to time honored traditions and is like nothing else in American martial arts. Grandmaster Marchetti was very honored by the warm welcome that he received. The seminar was well attended and Grandmaster Marchetti expressed high regard for the level of instruction. The students in attendance appreciated both Grandmaster Roensch’s guidance and the chance to meet Grandmaster Marchetti. It was a great experience for everyone fortunate enough to be present! Be sure to look at the pictures below and check back soon for more news and events. Seminar attendees getting hands on practice. Grandmaster Roensch and Grandmaster Marchetti were happy to meet other Grandmasters in attendance. 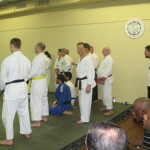 Michi Budo Ryu Black Belt Dr. Shapiro (facing camera) among the attendees.